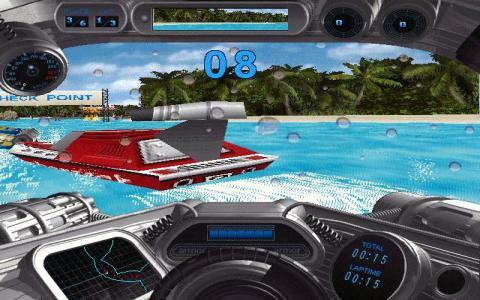 I don't think everyone will appreciate this racer as it might deserve; that's mostly because it will entice a very particular niche of racing freaks, those that appreciate both lite, arcade racers, as well as high speed boating. If you find yourself in both of these categories, this game can be for you. Unfortunately, you are also required to be a bit on the less graphically pretentious side of things, as this game also requires you to tone down your pretentions, at this particular level. 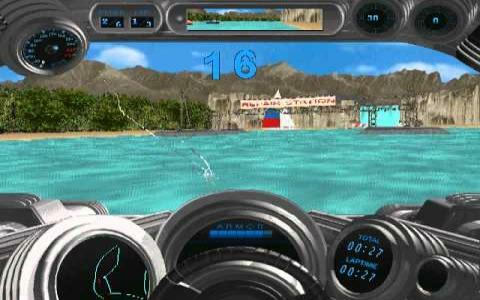 Not that it's a badly looking game, it's just that it combines the static interior of your boat racer with the 3D world which could have been a bit more detailed for 97, but, as I said, this is an arcade game; it sacrifices graphics for speed, and with this in mind, played fast, as it is supposed to be played it will leave a good impression on you. The arcade bit is also expressed in terms of upgrades and addons that you will pick up as you play the game. These confer you more speed and some other advantages, so you better pick them up. The controls are alright, maybe a bit on the lax side, but it's alright, not a trudge to play. 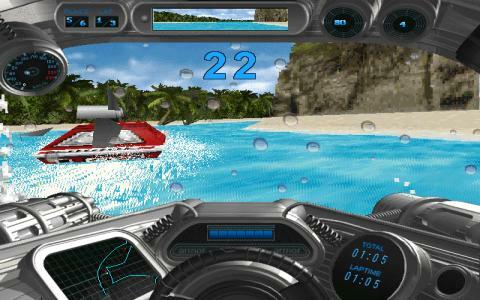 So, play it and try Heat Wave as well, another quite alright speedboating game. 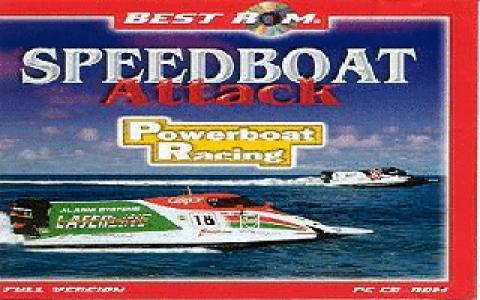 It's an arcade style speedboat racing game which has not been able to impress me at all. The first thing that I look out for in a racing game is the control and the controls with this game are really poor because neither the corner drifts are smooth are neither are they realistic. So it's not fun riding any of these boats. The variety in the game is a limited one as it only gives you 5 or 6 boats that do not have much of a difference and only differ in their performance level. The level designs are not diverse and there are only 8 tracks to play on. 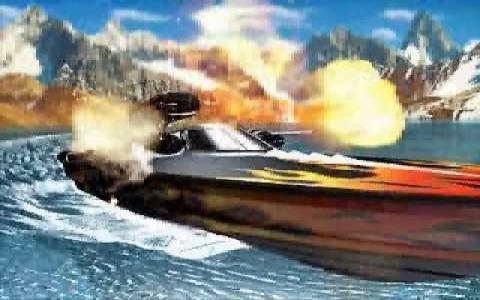 However the game is still playable for those who like to have action with the ammo as it has a rocket launcher and a machine gun on the boats which are fairly accurate. Moving through the different levels, you won't find much of a variety in terms of the actions and the enemies and there are only two power ups which wear out. Sometimes the shooting action gets annoying because you start to miss the targets due to the poor gameplay. Lego Racers is a far better game to play than this one.